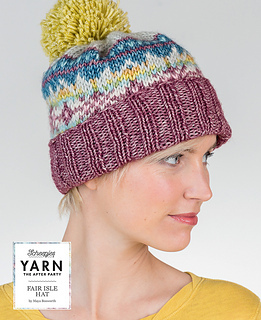 The amazing Fair Isle hat in Scheepjes Stone Washed XL by Maya Bosworth. 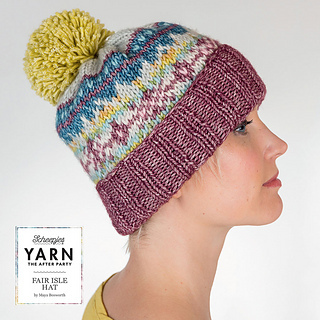 One of many designs published by Scheepjes yarns in their ‘YARN - The After Party’ booklets released with a new design every 2 weeks. Also available in print from Scheepjes Stockists (Dutch and UK). 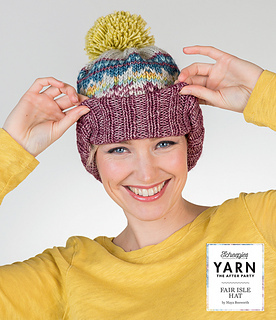 Difficulty: This pattern is suitable for adventurous beginners and intermediate knitters. Languages: The pattern is available in English (UK), Dutch, Swedish and Norwegian. Swedish and Norwegian translations are available as Ravelry Download only.